One of the best first steps is to learn as much as you can about the fundraising process itself. To help you on your way, we'll first share some startling startup funding statistics below. Then we'll take a deep dive into the differences between the various stages of startup funding. We'll begin with the critical distinction between the angel/seed round and the Series A round. Then we'll explore what lies beyond Series A, and how many rounds of funding your startup can or should seek. Finally, we'll help you factor in your niche, location, investment stage, professional network, and mentorship needs as you narrow down your list of ideal investors to approach today. Startup survival: what are the odds? The average seed round was $700,000. Less than half of seeded startups went on to a second round (i.e. Series A). Well over half (61%) of those that landed Series A funding went on to Series B. 28% of seeded startups eventually exited via merger, acquisition or IPO within the first six rounds. 70% eventually failed or stopped seeking (and perhaps needing) funding during this time. Less than 1% became unicorns (i.e. were eventually valued at $1B or more, although Slack, AirBnB and Uber were among them). What's the difference between angel, seed and Series A funding? There is no fixed dollar amount that defines a seed or angel round. However, you will generally see dollar figures in the tens to hundreds of thousands, rather than millions (at least not many millions). If you're looking for harder numbers, RocketSpace places the seed range at $50,000 to $2M. By contrast, Rocketspace places the Series A range at $2M to $10M. Of course, Series A rounds in the real world range wildly. But they are generally many times greater than what you could expect from a seed round. Generally speaking, the first round is the hardest. This should come as no surprise. Despite the lower dollar amounts, seed and angel rounds pose the greatest risk to the investor. Therefore, you are up against the greatest scarcity of funds, and the fiercest competition for it. Therefore, if you succeed in securing seed or angel funding, then you will have already made it over the highest barrier-to-entry. Yet you will face new challenges in Series A, such as a thorough due diligence process. An angel/seed round can happen relatively quickly, if not overnight. This is primarily the case because there are so few hoops you have to go through, at least when compared to later, institutional rounds. However, if you're transitioning from seed or angel funding to Series A funding, then it's time to cultivate patience. In all likelihood, you will need a far longer runway to land Series A. With this in mind, start the fundraising process as far in advance of your projected financial deadline as you possibly can. In some cases, VCs may sit on the sidelines for years as you work out other ways to stay in the game. Therefore, it's important to start thinking in terms of long-term relationships, rather than quick deals, as you enter the world of VCs. Fundraising best practices will also change dramatically as you transition from seed/angel fundraising to Series A. Seed and angel rounds tend to be relatively informal, often involving a loose string of conversational meetings taking place in coffee shops or other public locations. Series A is a different story entirely. Named after Series A Preferred Stock, Series A is the first truly formal funding round. This will become increasingly evident as the institutional fundraising process unfolds. To prepare for Series A, you will definitely want to start going through your due diligence checklist, which will prove to be an essential step in every funding round from this point forward. In most cases, you will also need to make room in your organizational chart for a board of directors and advisors. During a seed round, you will often use informal platforms to share documents with potential investors. However, if all parties agree that document security is paramount, it's well worth considering a virtual data room (VDR). Nonetheless, a VDR is usually perceived as a mere nice-to-have for seed and angel rounds. However, once you reach Series A, a VDR is a non-negotiable must-have. 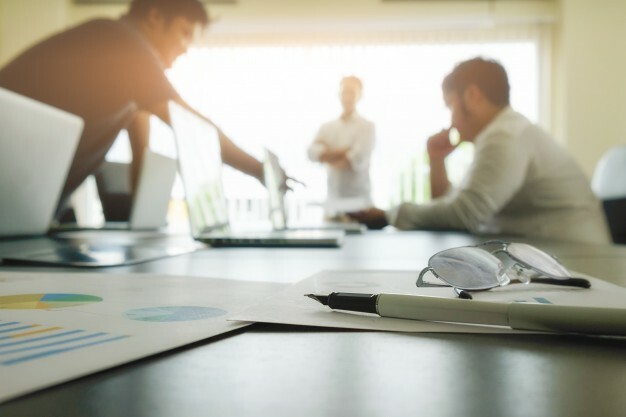 Institutional investors will always expect to have access to an enterprise-grade VDR in order to review your documentation in a secure space. How does fundraising change with Series B, C and beyond? Some investors characterize companies that have reached Series B as having moved out of the development phase and into the expansion phase. If you progress still further into Series C, rapid expansion may transition to mature scaling. Throughout these later rounds, mergers and acquisitions may also come into play. Many successful companies may even begin to consider the prospect of going public to raise further funds. However, for those that prefer to remain a private company, but still need funding, Series C and beyond will likely involve progressively larger cash infusions, often ranging in the tens of millions. Yet along with the far greater dollar amounts will come far greater expectations of market leadership and consistent revenue growth. 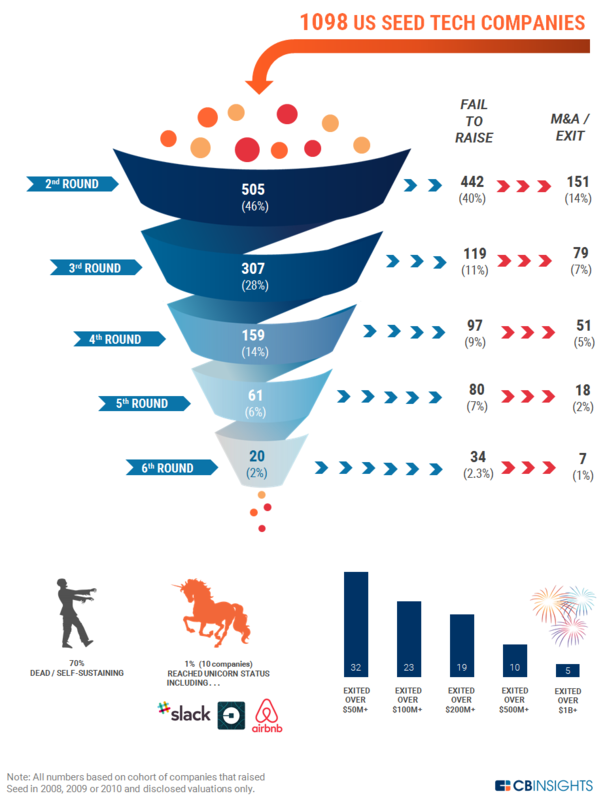 How many funding rounds are there? Generally, very few. The hard truth is that the vast majority of startups fail before reaching a third or fourth round. So although it's wise to think long-term, it's generally not necessary to plan beyond one or two rounds ahead. Of course, there are always exceptions. For example, if you are involved in a startup with a multi-year, manufacturing-dependent project, such as building a better graphics card, then it's probably best to approach a single set of institutional investors with a multi-stage investment plan in advance. This way you can follow your long-term project through to the end without the floor falling out along the way. Who are the best investors to approach? Knowing who to approach, and who to avoid, is one of the most important skills you can learn as you enter the maze of startup fundraising. It's no secret that you need to stay well within your industry when courting startup investors. However, it's important to tune your fundraising strategy still more precisely. You need to find investors that are particularly interested not just in your industry, but in your niche. To find the sweet spot, look for angels, VCs and firms that have consistently and successfully invested in companies that are active in your precise market, but that aren't your competitors. You need to make your list of potential investors match your stage of investment. For example, there's no point in courting an angel investor if you're seeking Series A funding. After all, the amount you need to raise is quite likely an order of magnitude larger than what an angel investor can deliver. On the other hand, if you only need a hundred thousand dollars of angel funding, it's equally unwise to court a late-stage institutional investment firm like Kleiner Perkins. Generally speaking, investors like to live near their investments. Keeping this principle in mind, it's best to start with the investment community in your nearest metropolitan area. And despite all the hype to the contrary, this doesn't have to be Silicon Valley. Although there are indeed more investors per capita in Silicon Valley than perhaps anywhere else on earth, there are also many more entrepreneurs competing for their attention. Moreover, the Bay Area is a prohibitively expensive place to live and run a startup. You can certainly stretch your investment dollar further by raising funds where you are, and helping your local startup scene grow at the same time. If you already have a robust professional network to tap into on LinkedIn or elsewhere, then it's time to start navigating it. Work tirelessly to uncover every direct or indirect connection you have to a qualifying investor. If you don't have much of a professional network, it's time to build one. You can start by attending leading industry and niche-specific conferences where investors frequently look for prospects. Investors are anything but passive ATMs. They will often want to be involved in every key decision you make with their money. So be sure to find an investor who you trust to be a frequent co-pilot, and that you get along with well. Ideally, the angel or VC should know enough about your business and market to be a trusted resource, rather than an overbearing nag. Think of it this way. Ultimately, if you can find a trusted mentor in your investor, then you have essentially landed a new, seasoned executive that likes your business enough to work for equity. Keep in mind that once you have factored in all of the above and narrowed down your list of investors to approach, you will still need to approach them. Because your competing with hundreds of others for every second of their attention, this is going to be hard work, and you will need to be in it for the long haul. As startup CEO Bill Radar emphasizes, it generally "takes hundreds of introductions, calls, pitches and meetings to find the right investor." Despite the strongest startup investment market in years, startup fundraising remains a persistent challenge in 2018. Here we've tried to help you meet that challenge by tackling key questions that lie at the core of the venture capital funding process. First we looked at the raw stats reflecting a wide range of venture capital fundraising concerns from seed to exit. Next, we explored the deep differences between angel/seed rounds and Series A rounds, including dollar amounts, levels of difficulty, runways, formalities and document-security practices. Then we explored what lies beyond Series A, and how many funding rounds your company might wish to seek. Finally, we showed you how you can factor in your niche, location, investment stage, professional network, and mentorship needs to narrow down your list of ideal investors to approach. By taking all these tips to heart, then putting them into practice, you should be well equipped to weather the exciting storm that is raising funds for your startup in 2018.